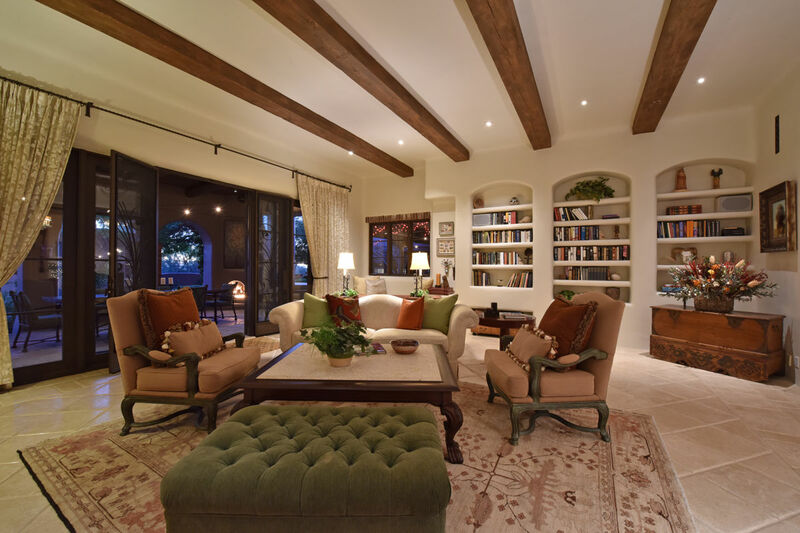 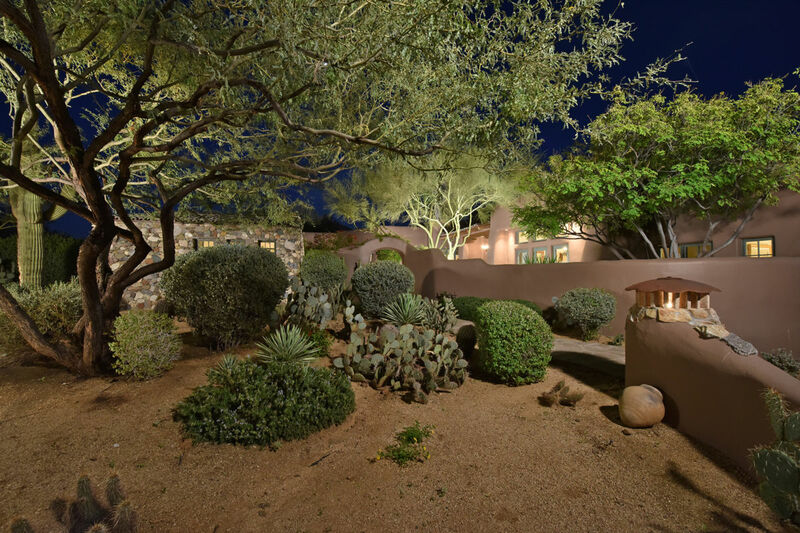 Charming and intimate define this true custom residence located on a private acre lot in the gated Desert Highlands of North Scottsdale. 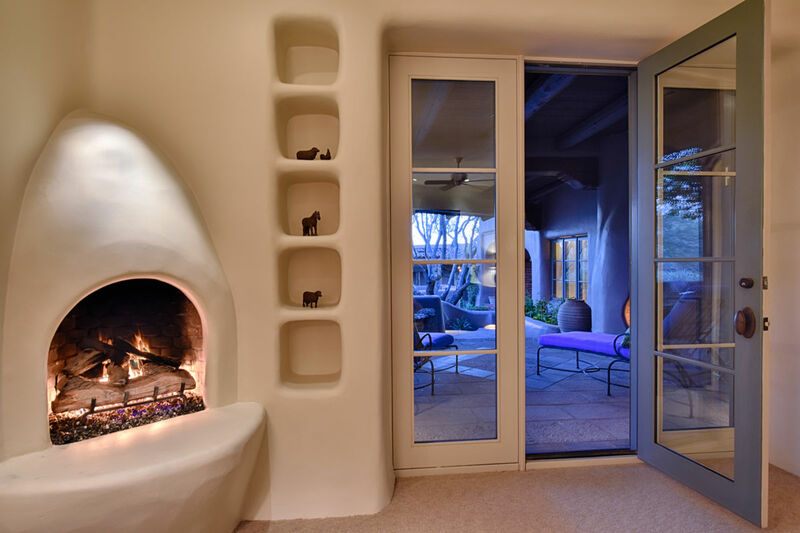 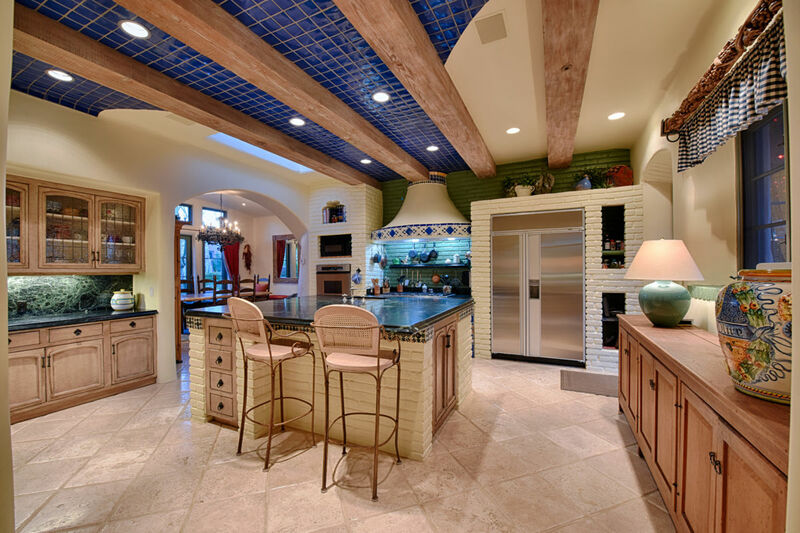 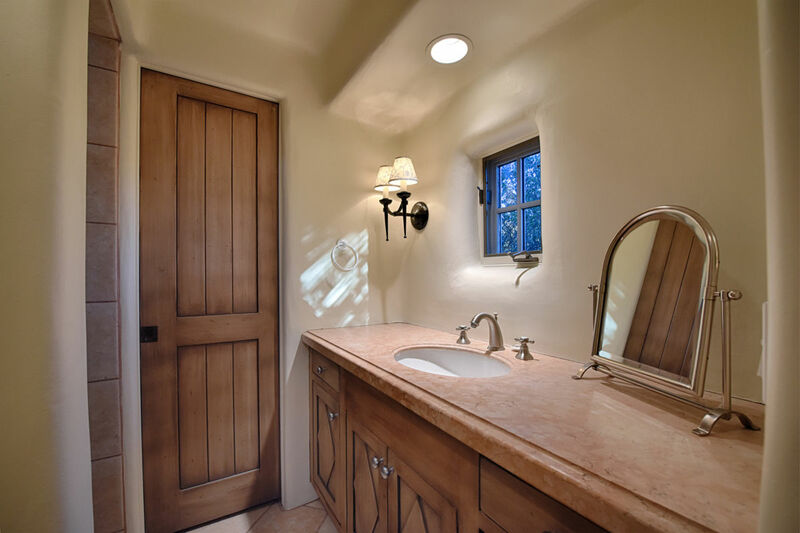 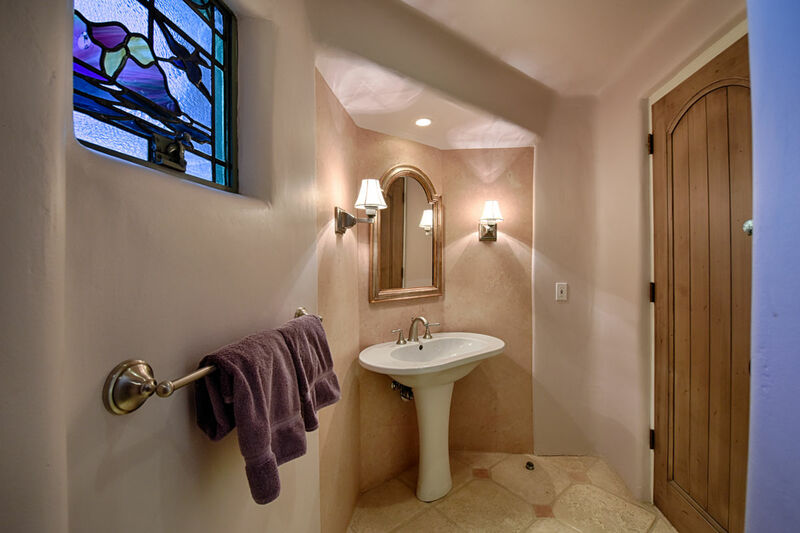 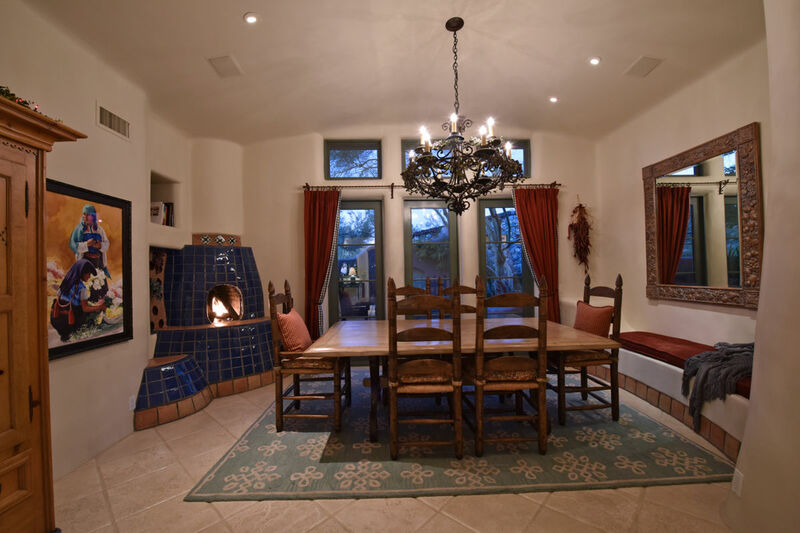 Echoes of Southwest inspiration create a pleasing palette perfect for the most discriminating buyer. 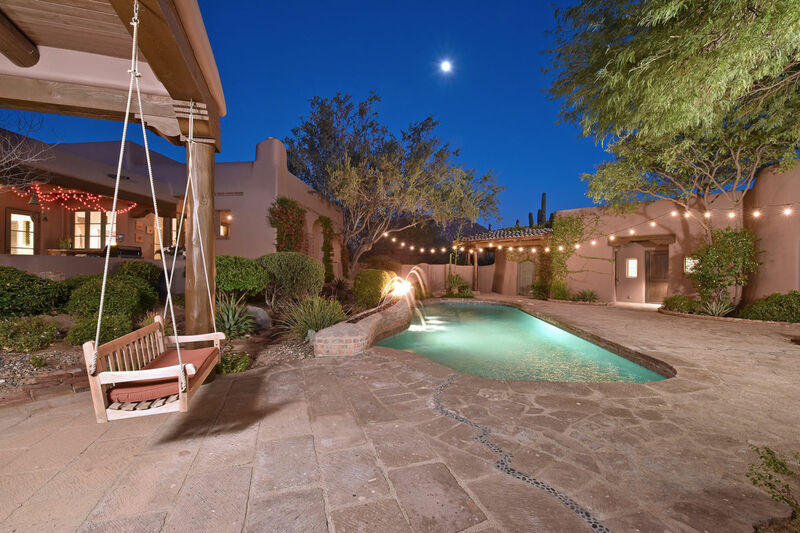 True to the uniqueness of the home, the outdoor areas reflect a backyard paradise complete with loggia, patios, courtyards, breeze ways, gardens, pool with fire and water feature, private spa, decorative landscaping and stone paver work, and an upper view deck with panoramic views including famous Pinnacle Peak and city lights. 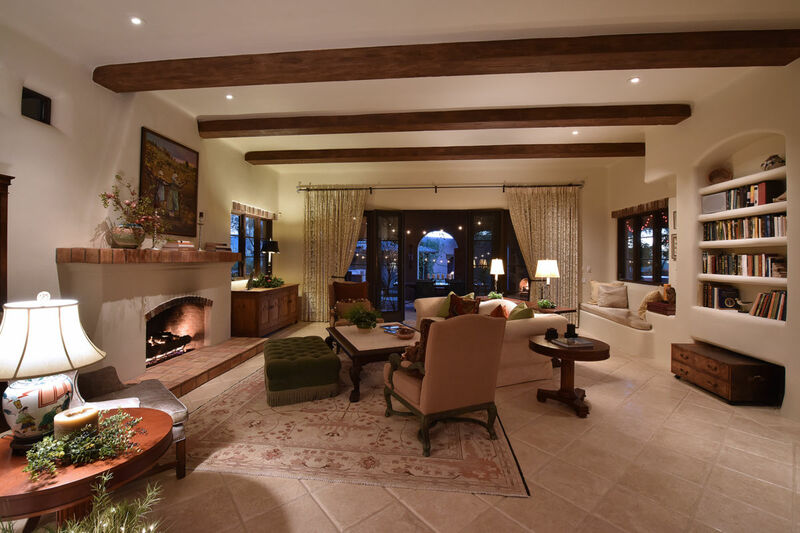 Traditional living spaces flow seamlessly while offering individual gathering spaces perfect for everyday living and entertaining. 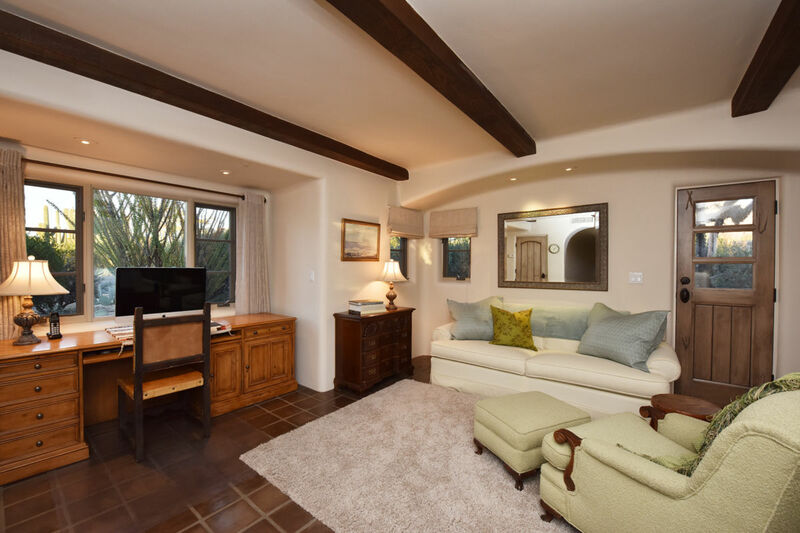 A completely detached guest house equal in charm to the main house, has two ensuite bedrooms, living, dining, and kitchen areas. 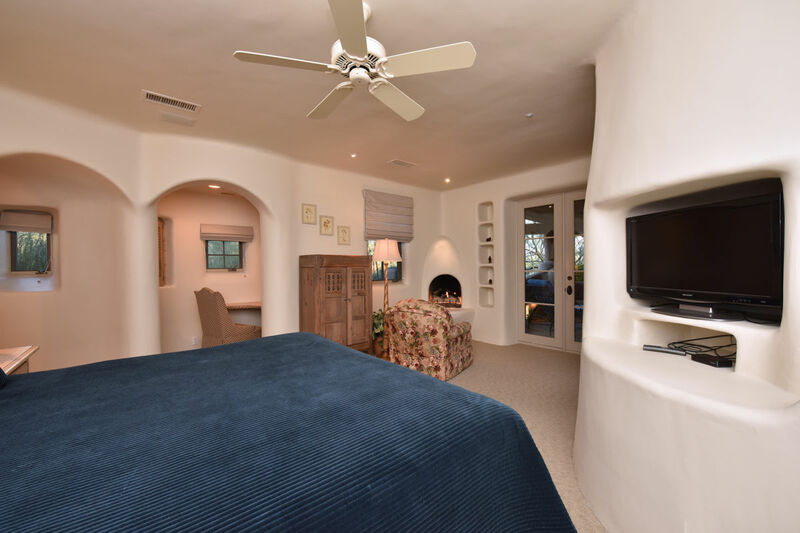 Inside the main home the master bedroom is well appointed, connected by a sitting area and another bedroom that could be used as a flex space. 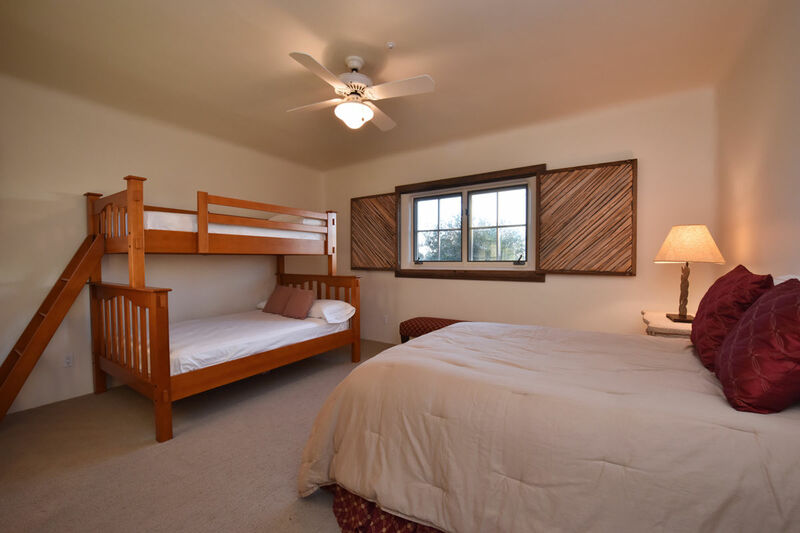 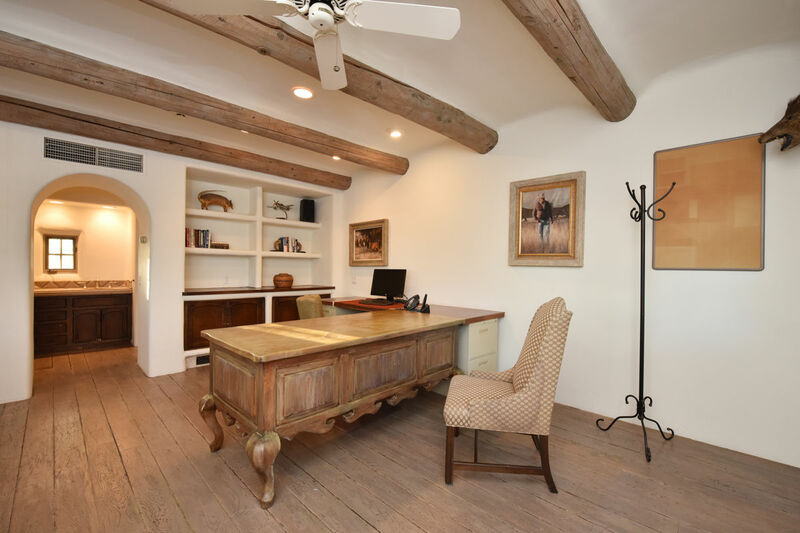 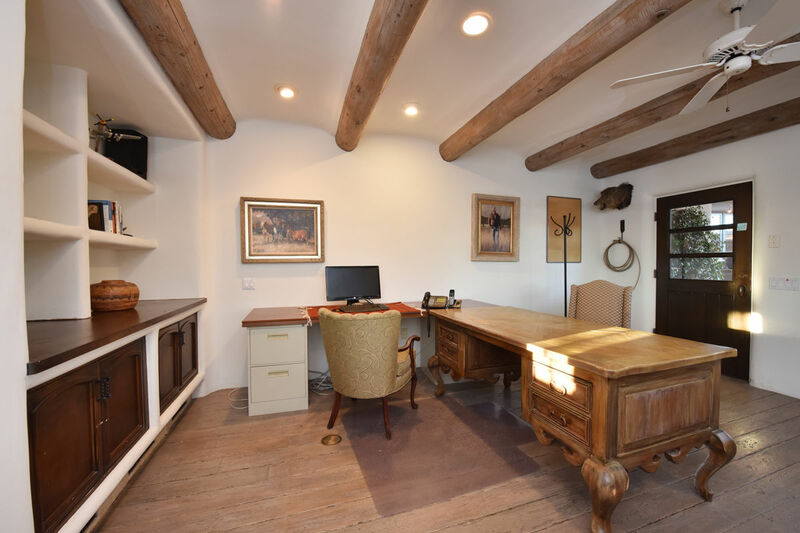 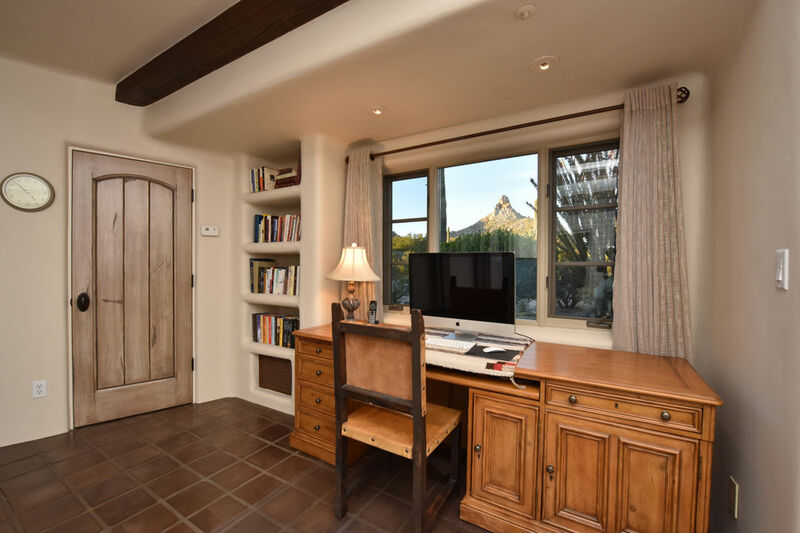 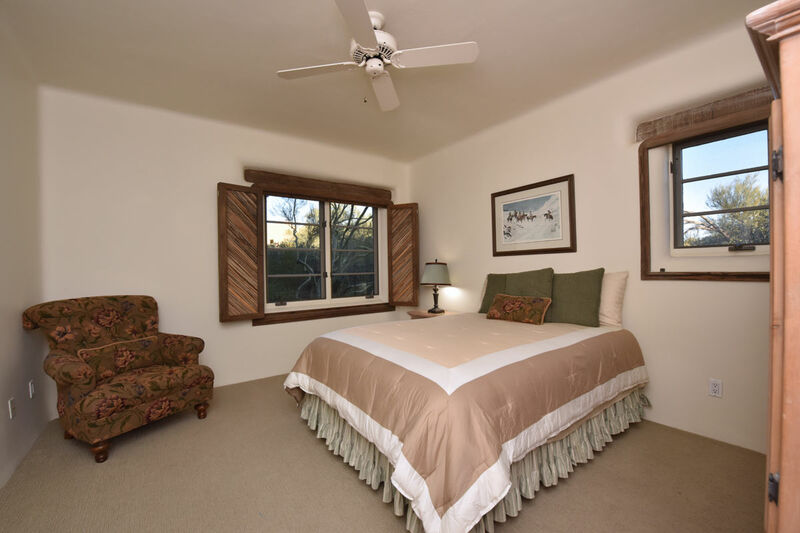 The home office is accessed from a private entry and has a full bath and closet making it easily used as an additional bedroom/casita space. 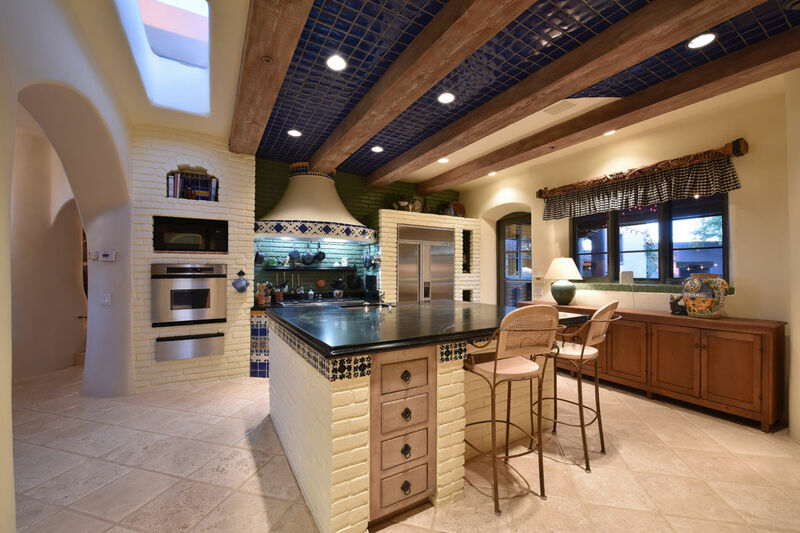 The kitchen is full of charm with beamed and tiled ceiling, arched entries into the full butler’s pantry and attached dining room, center island with seating and sink, built in refrigerator and oven situated in the decorative brick work wall, and a centerpiece gas range nook with custom hood vent. 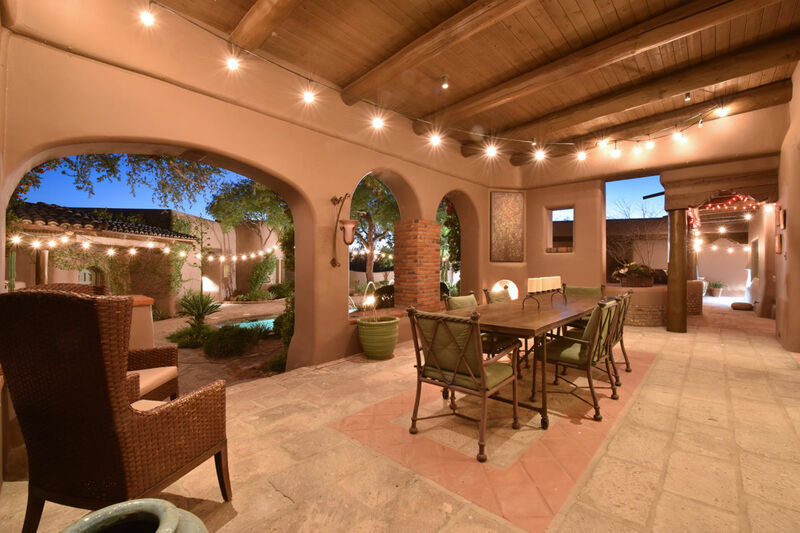 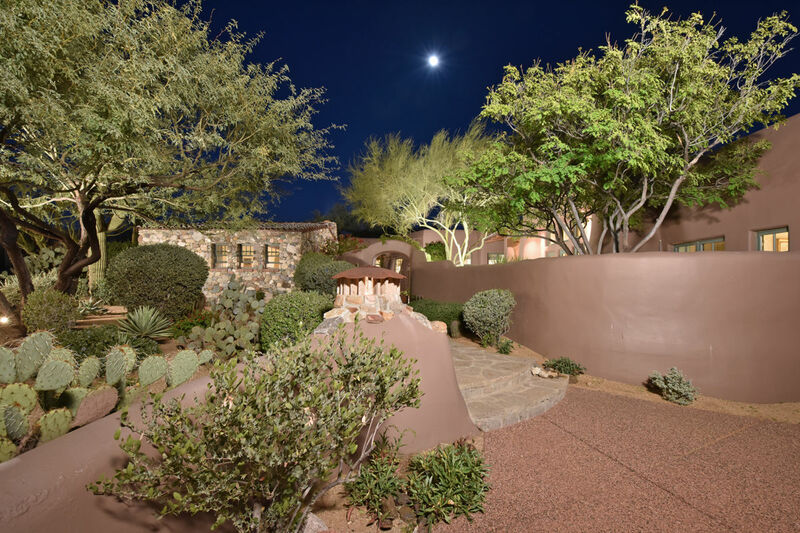 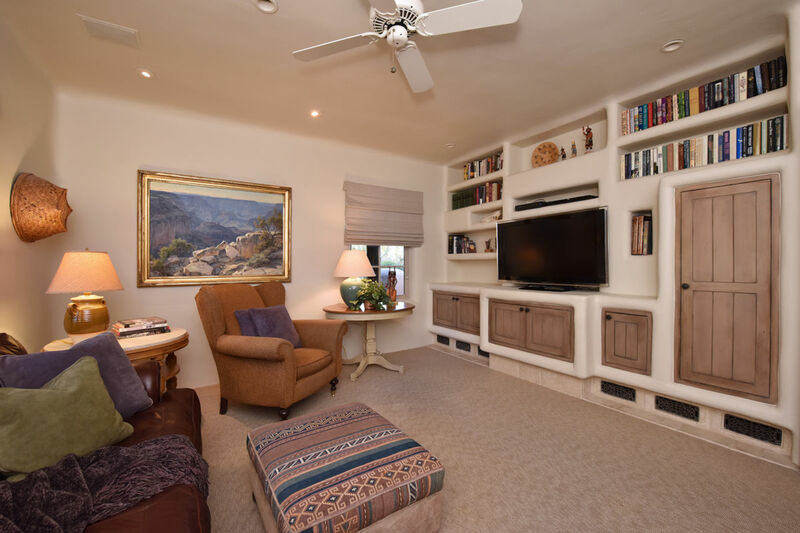 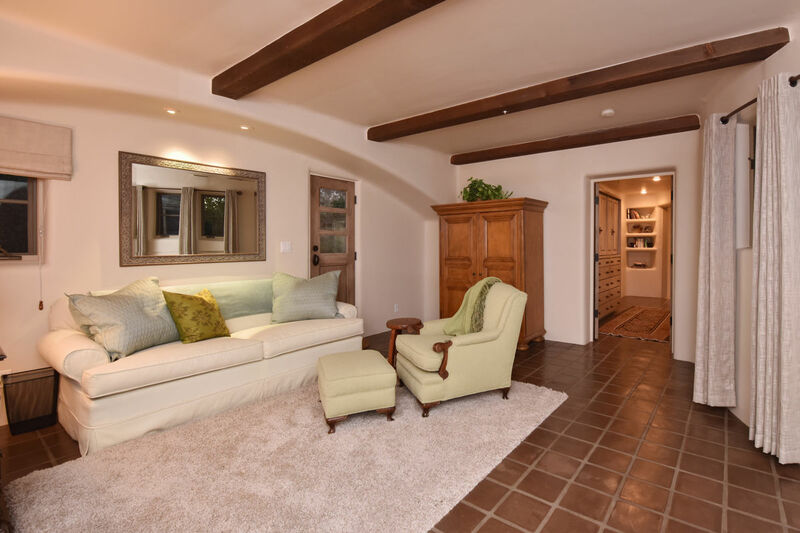 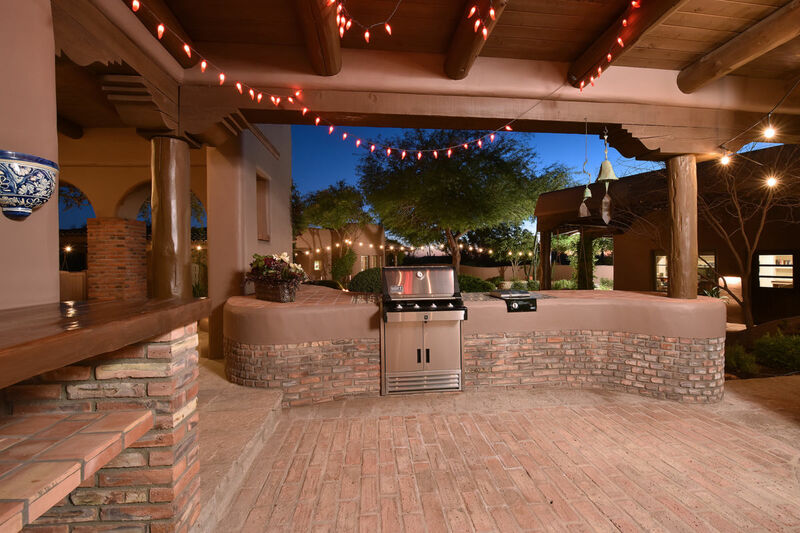 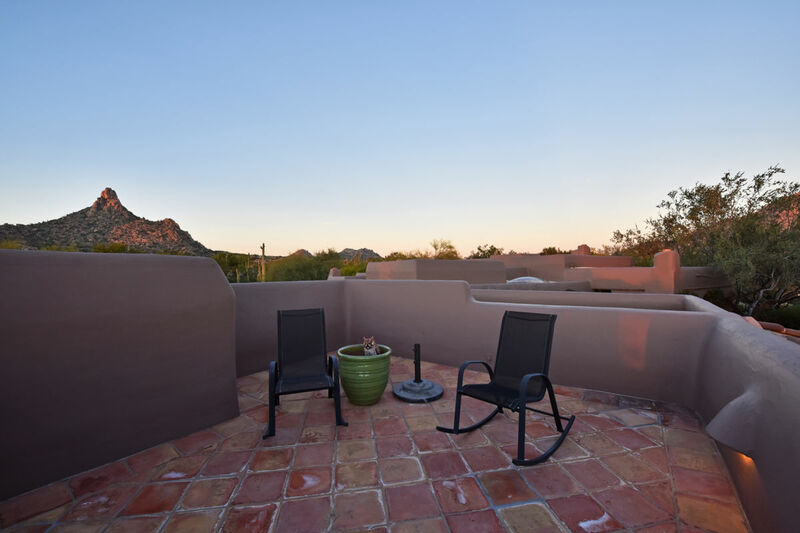 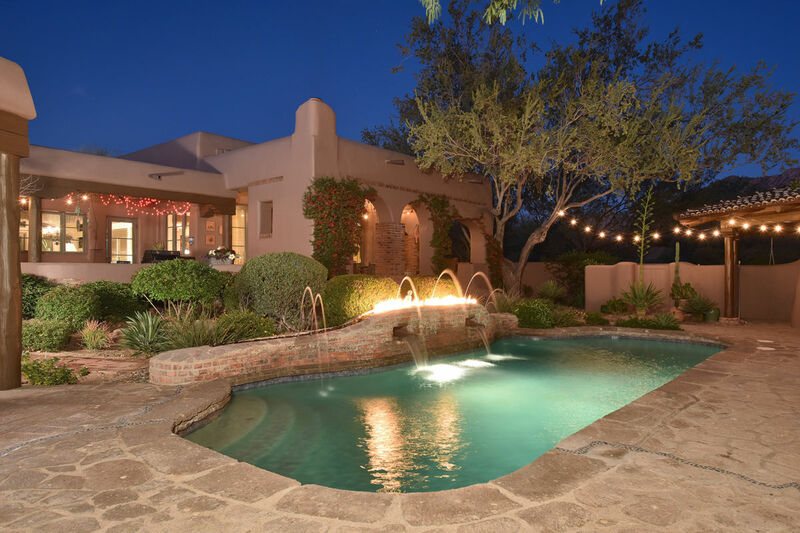 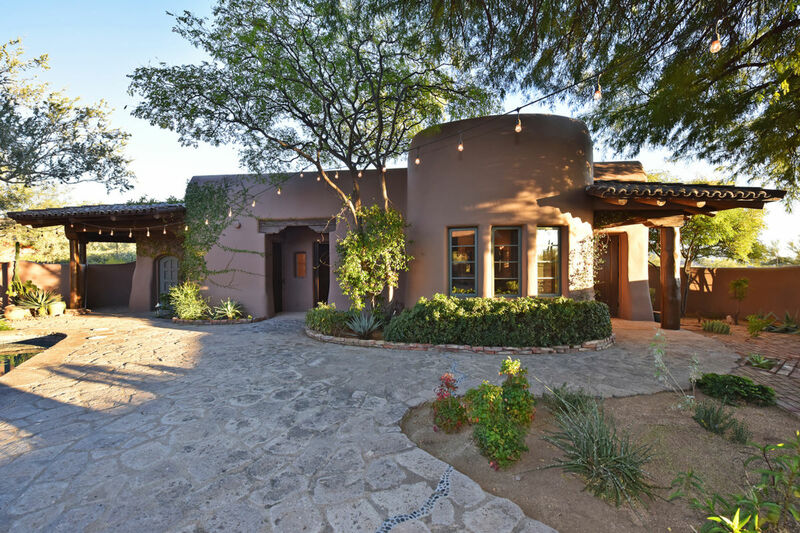 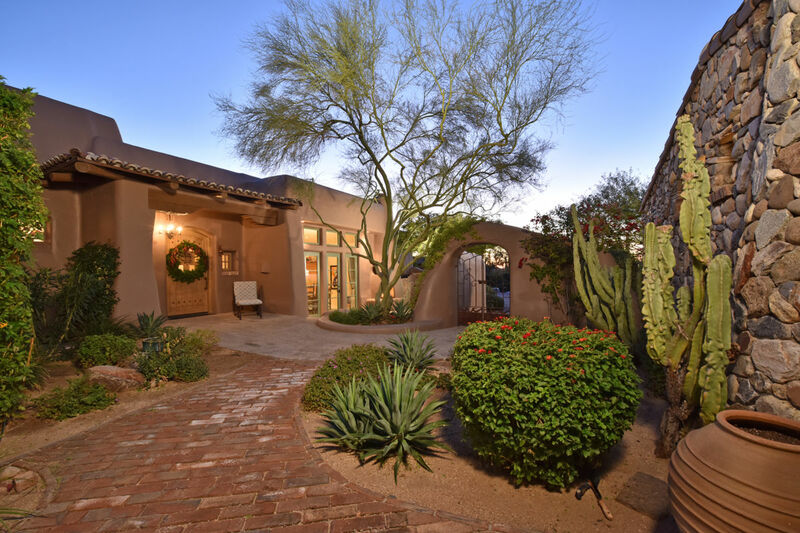 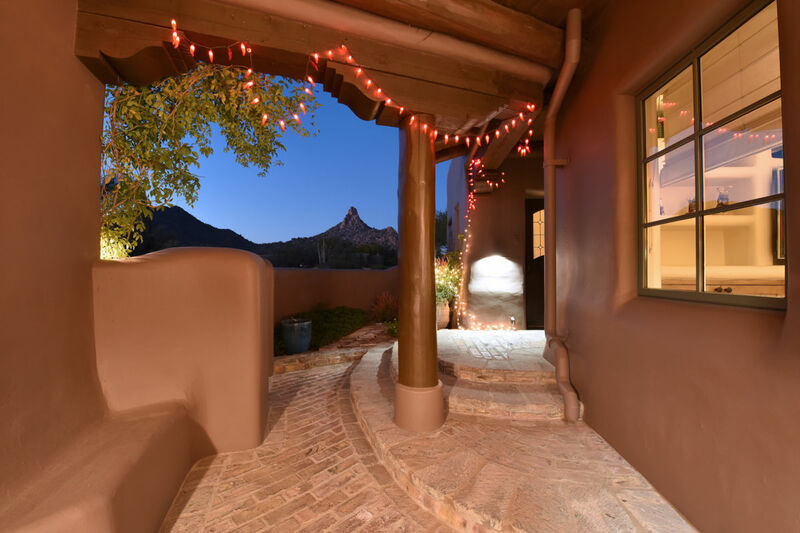 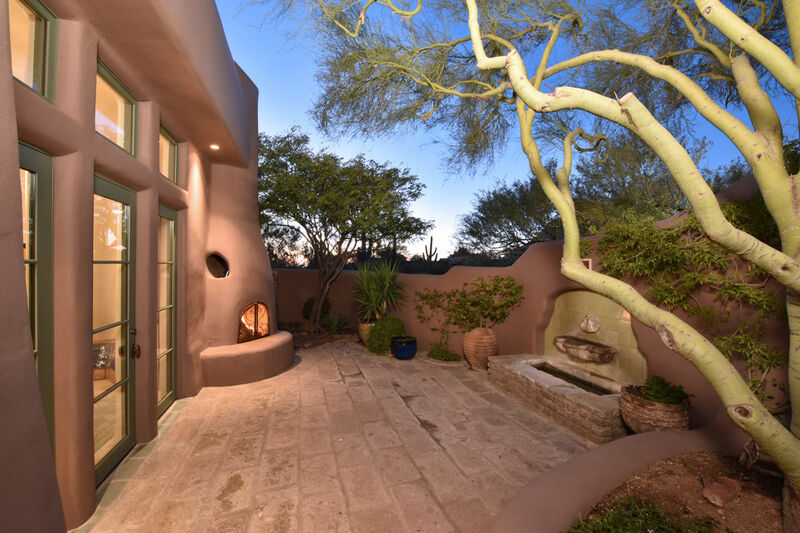 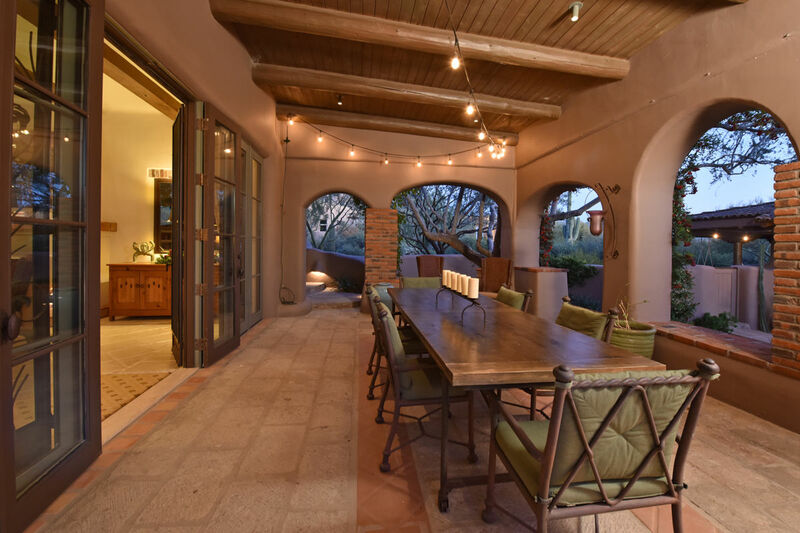 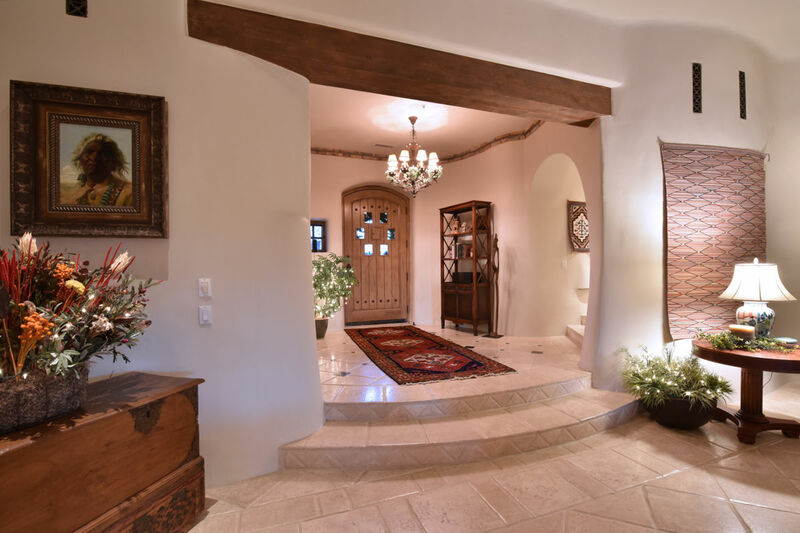 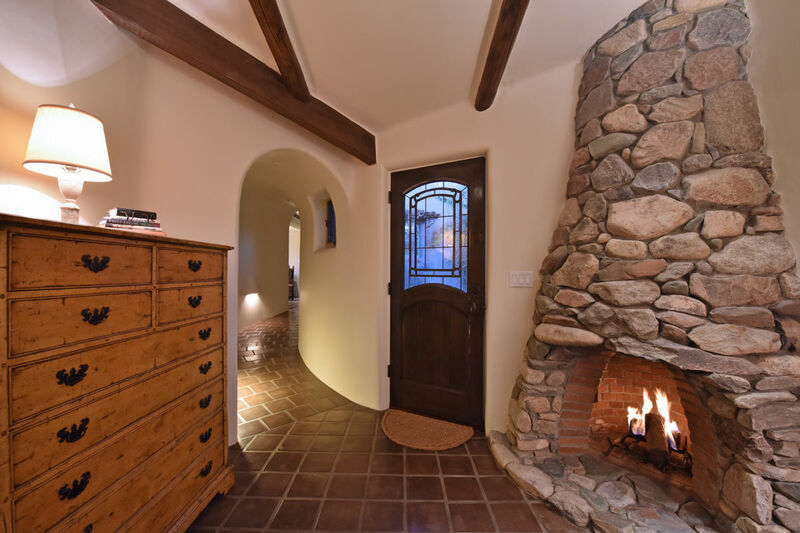 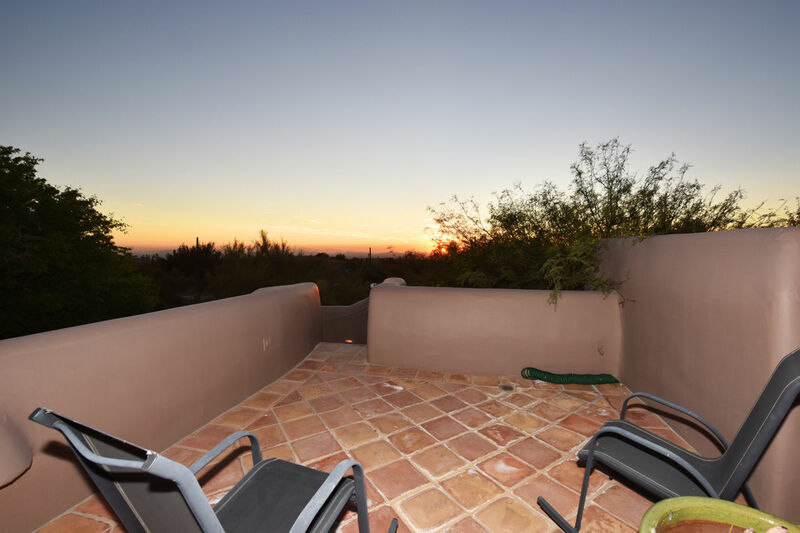 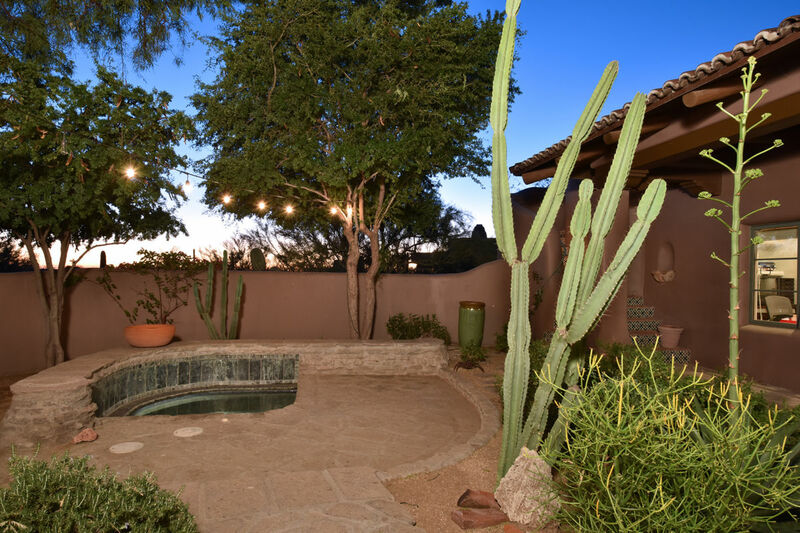 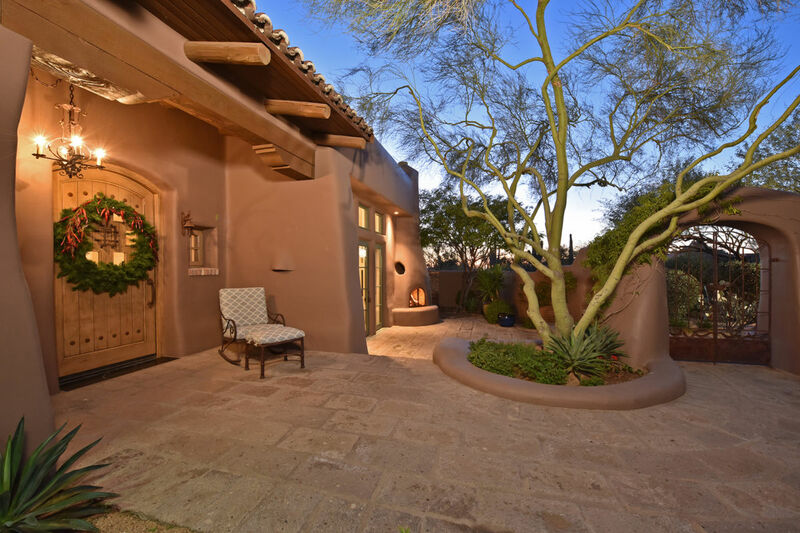 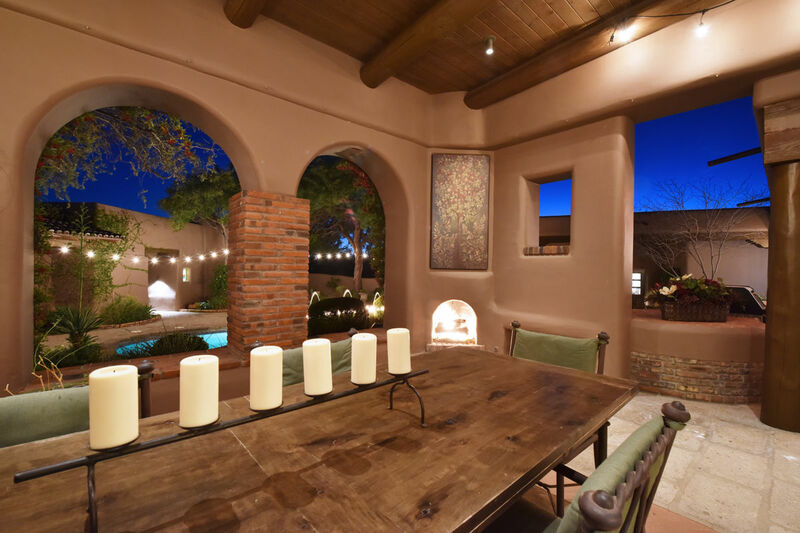 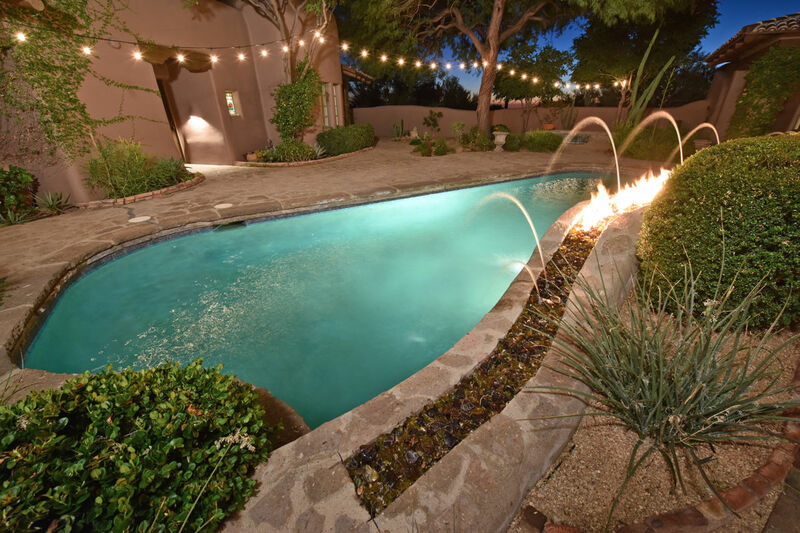 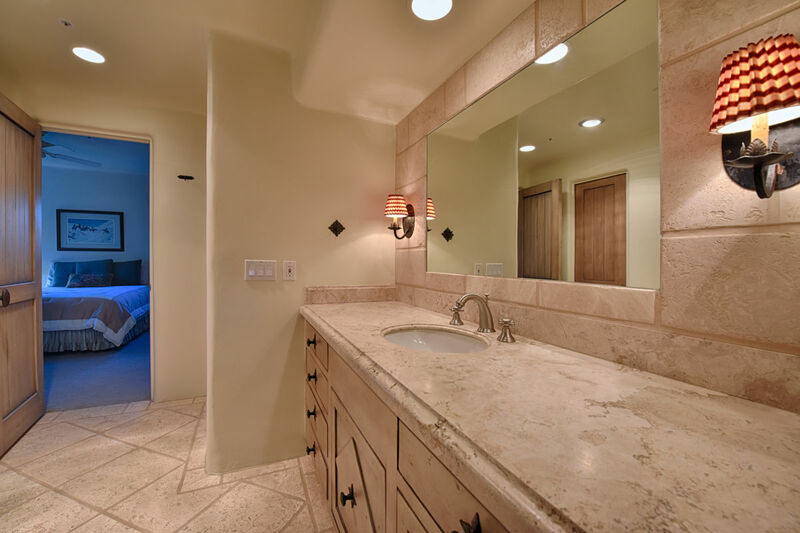 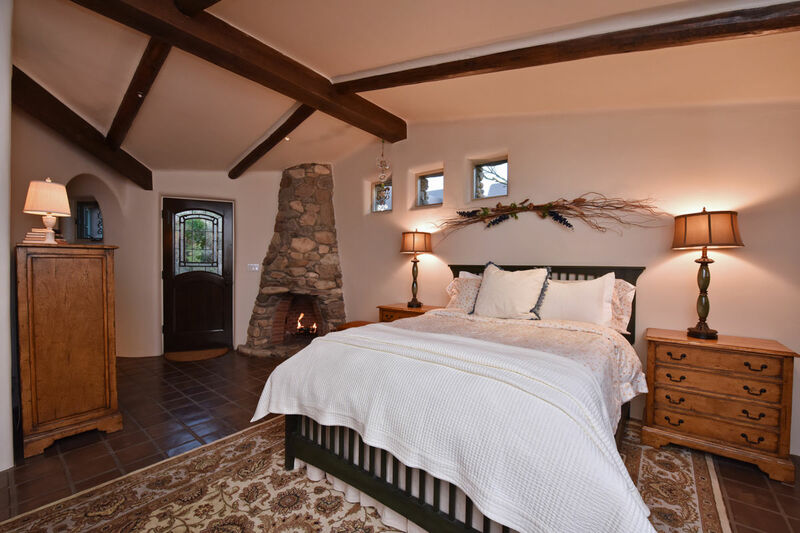 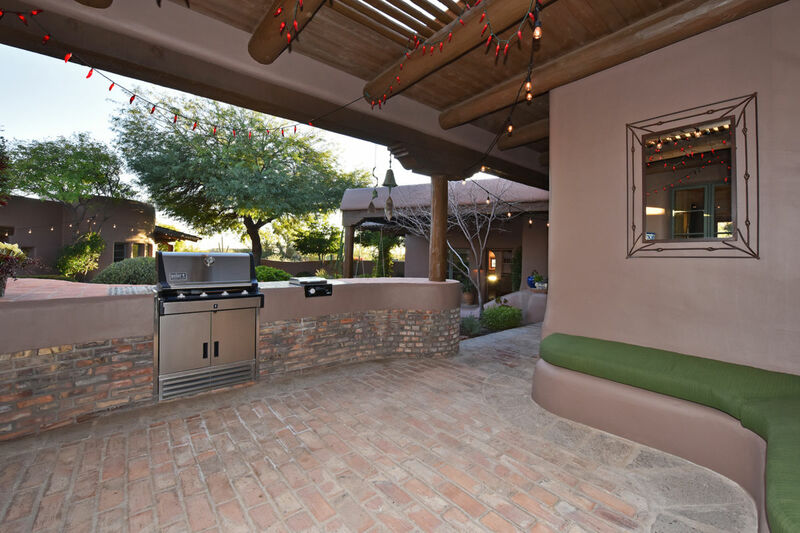 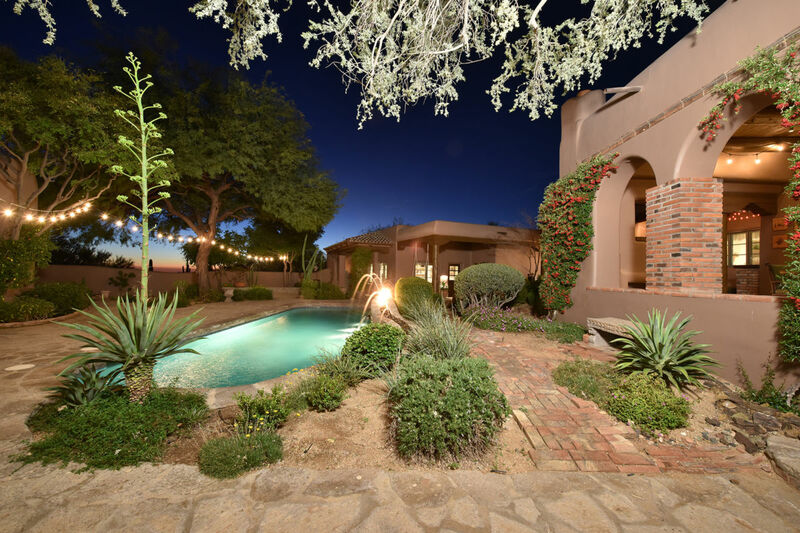 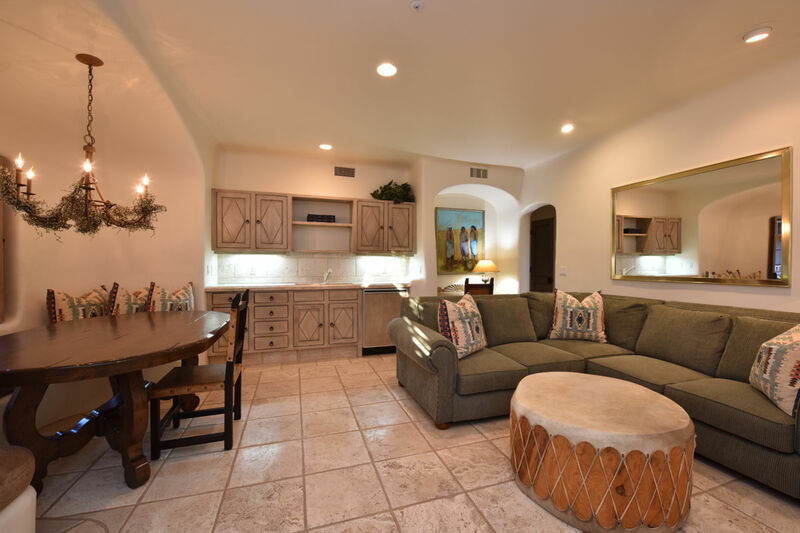 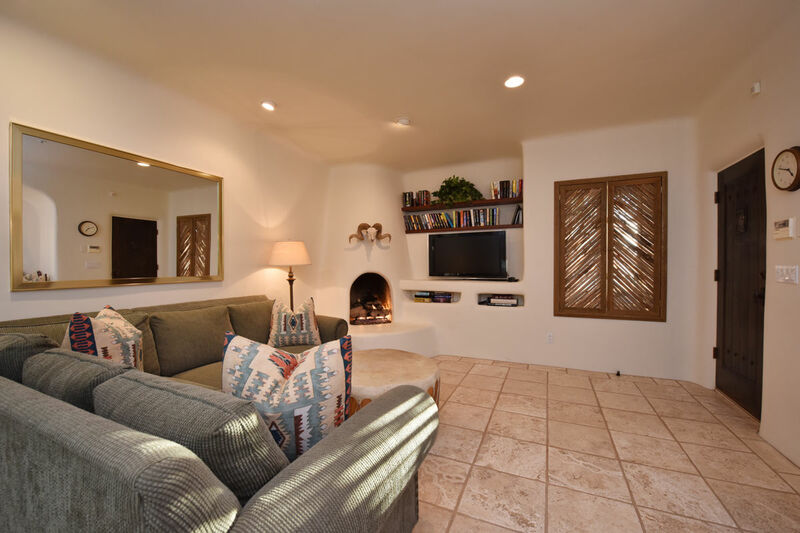 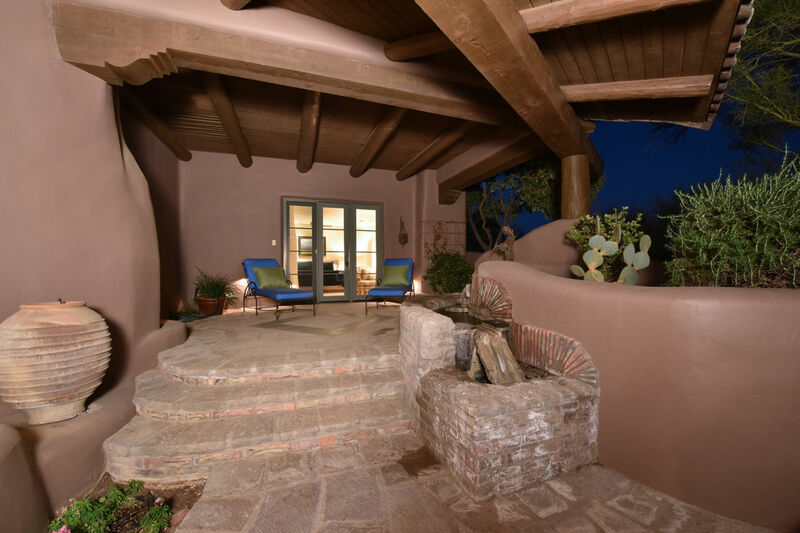 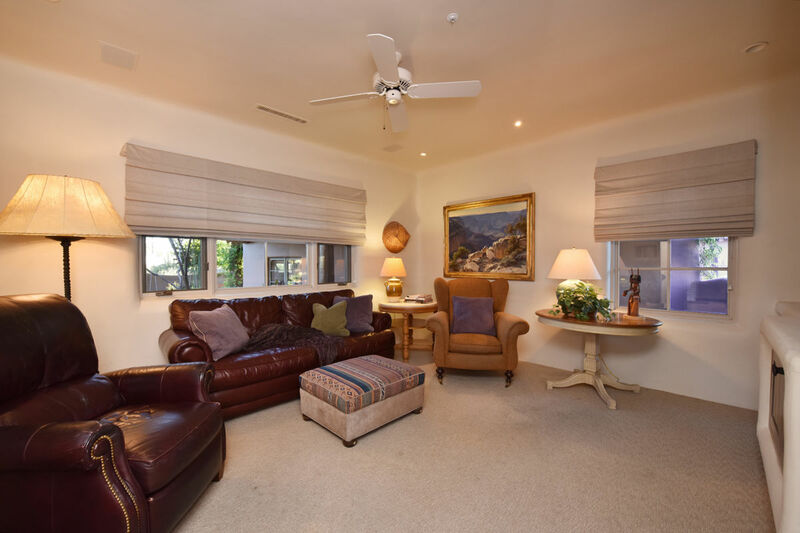 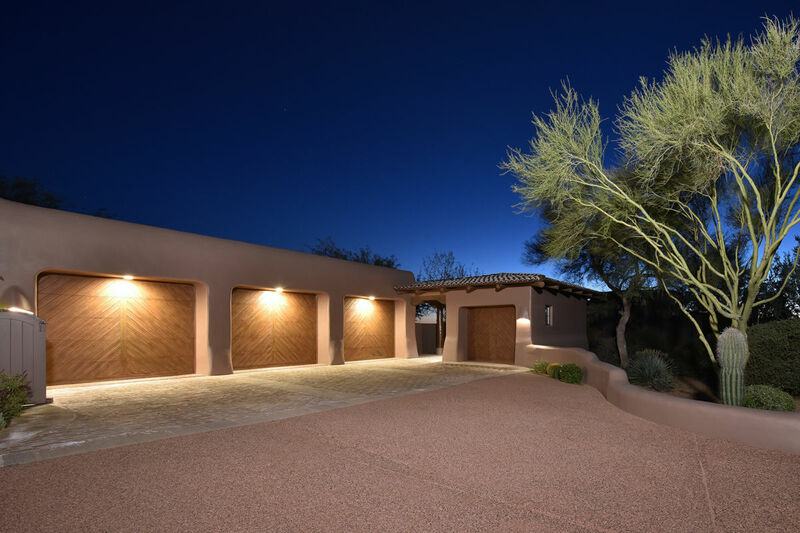 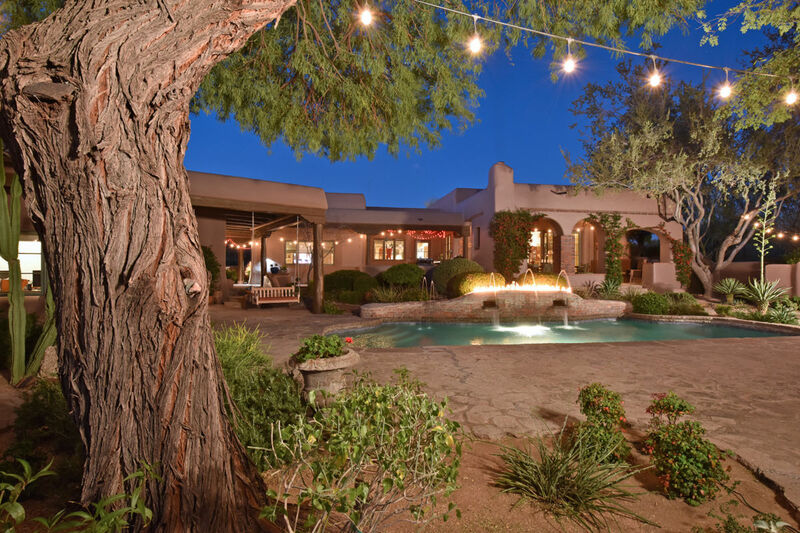 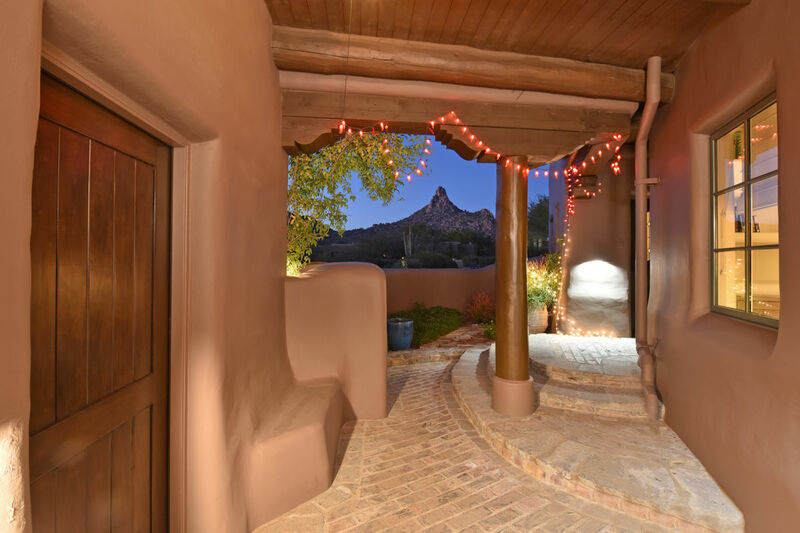 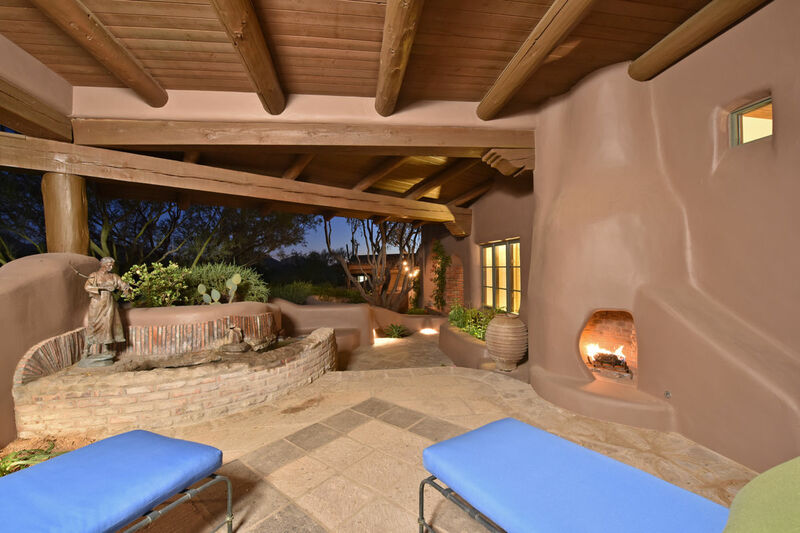 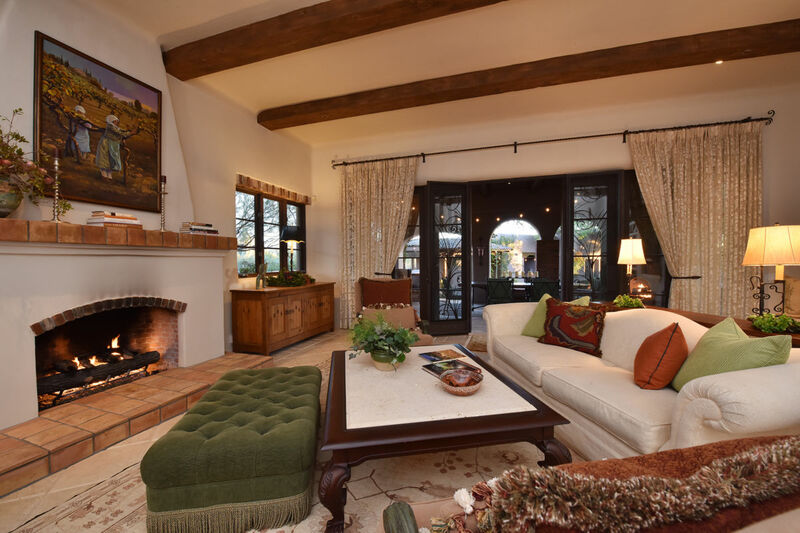 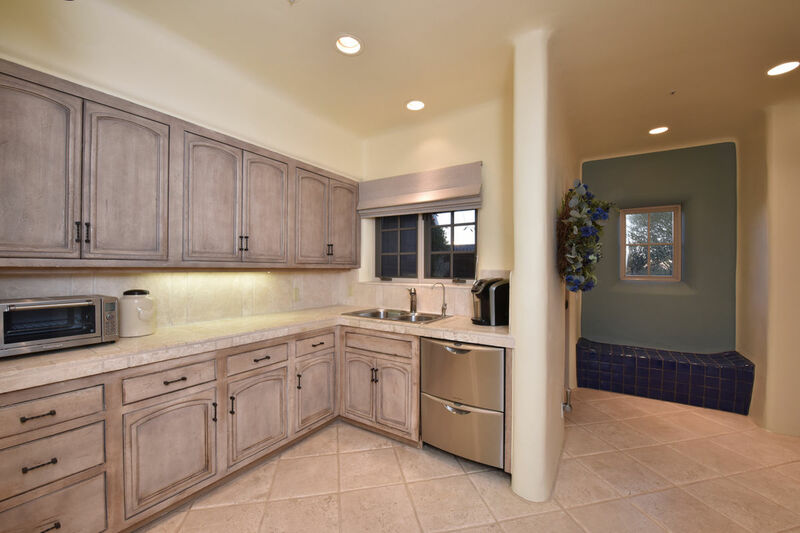 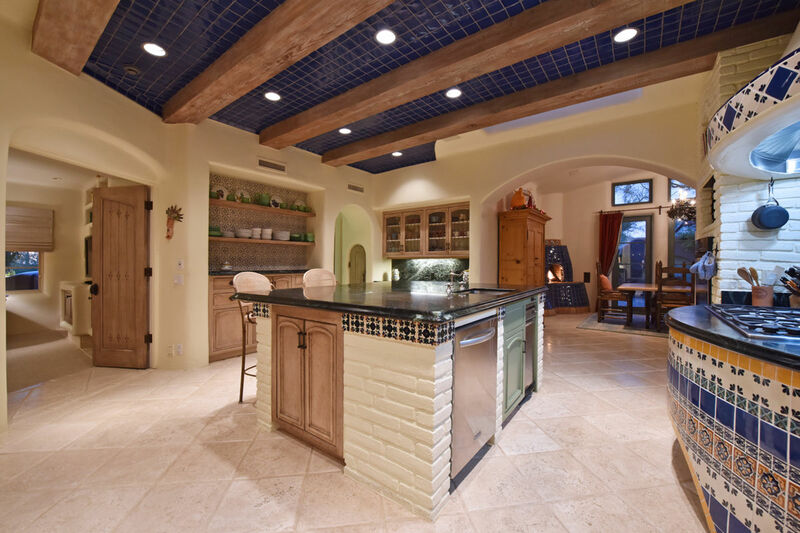 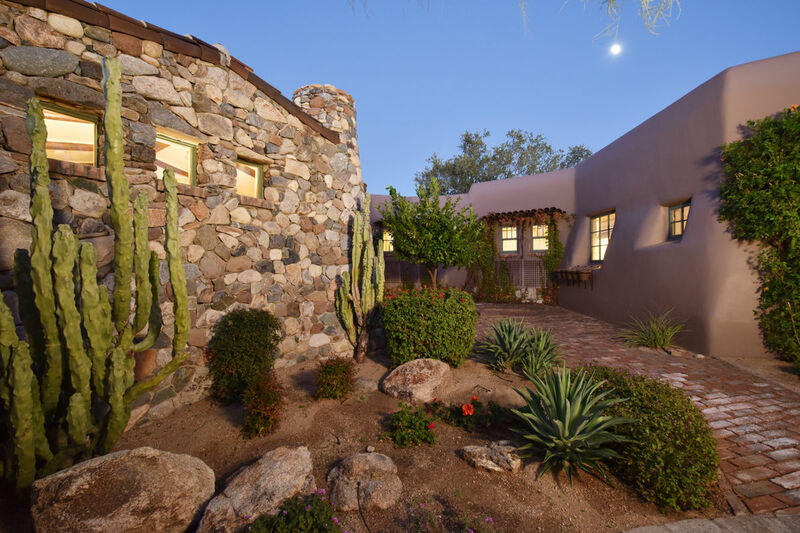 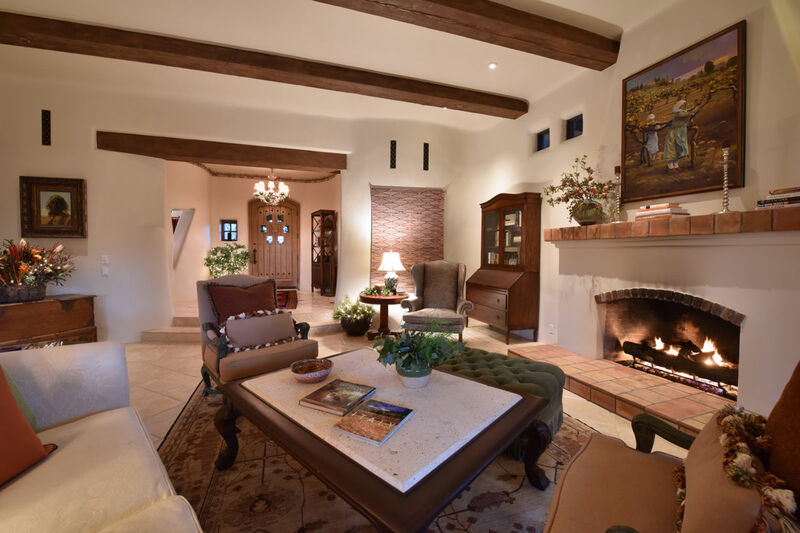 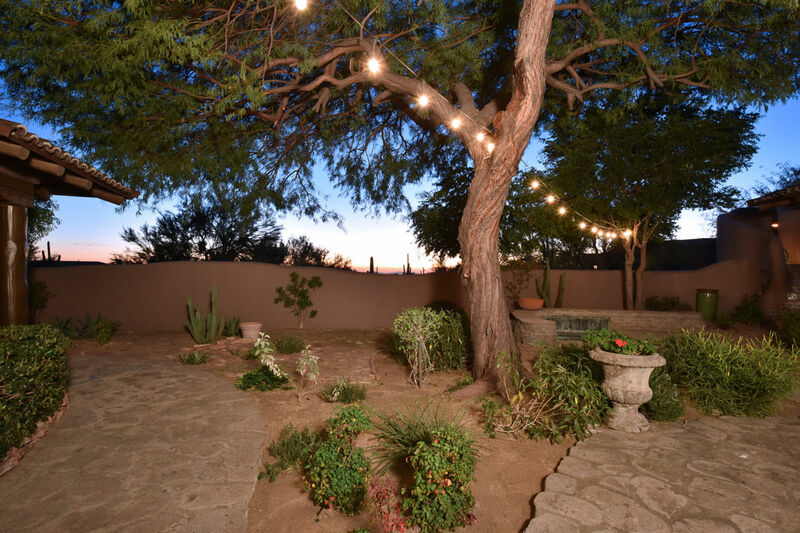 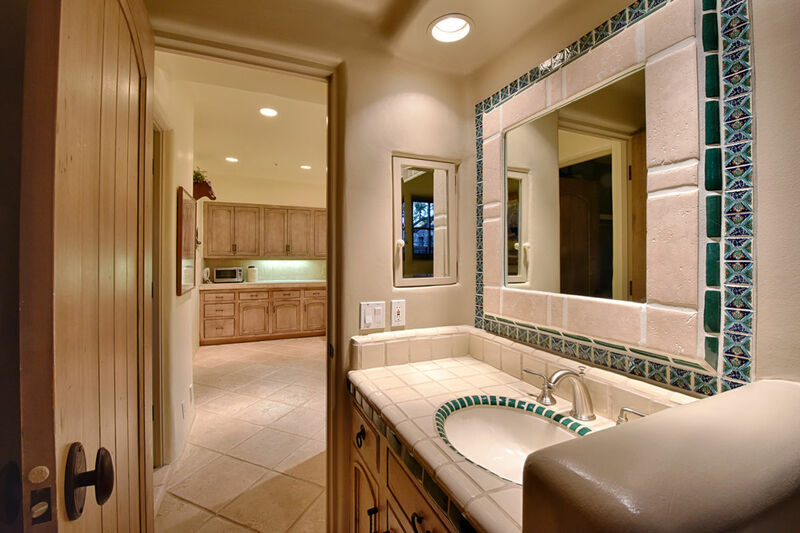 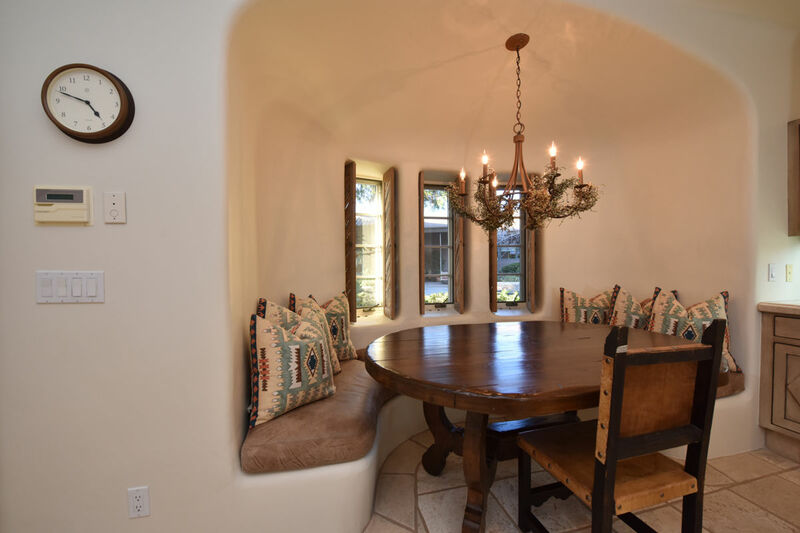 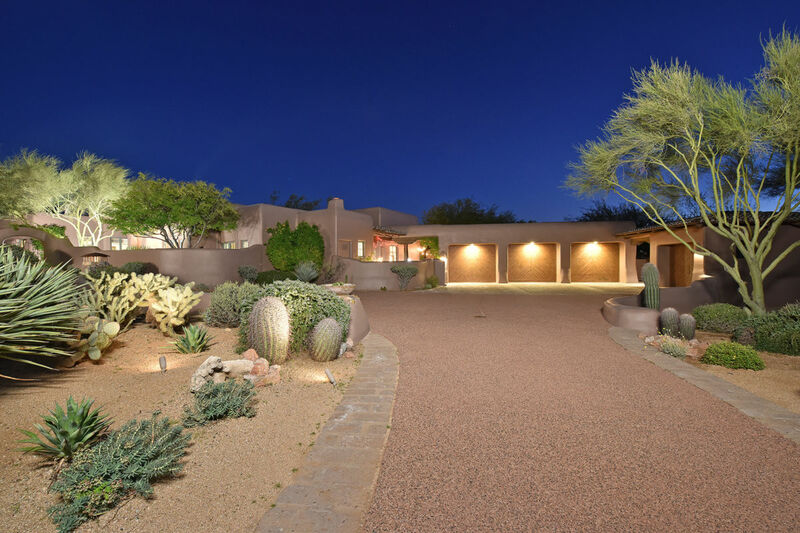 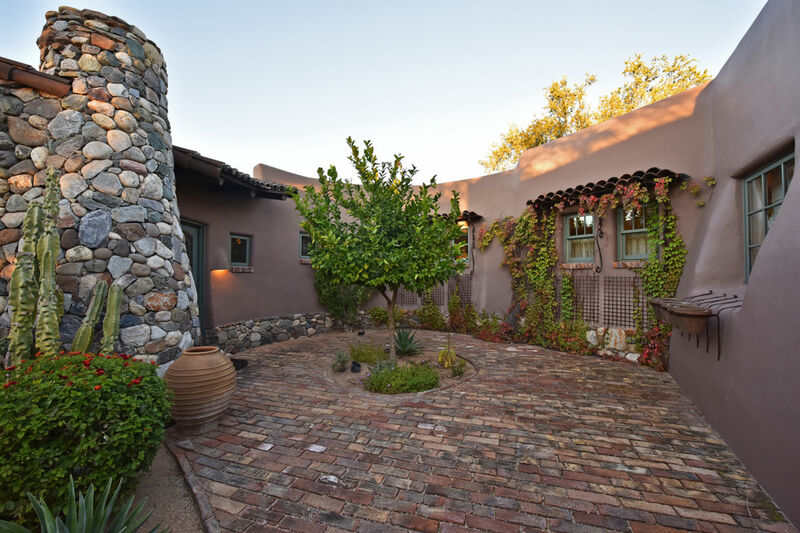 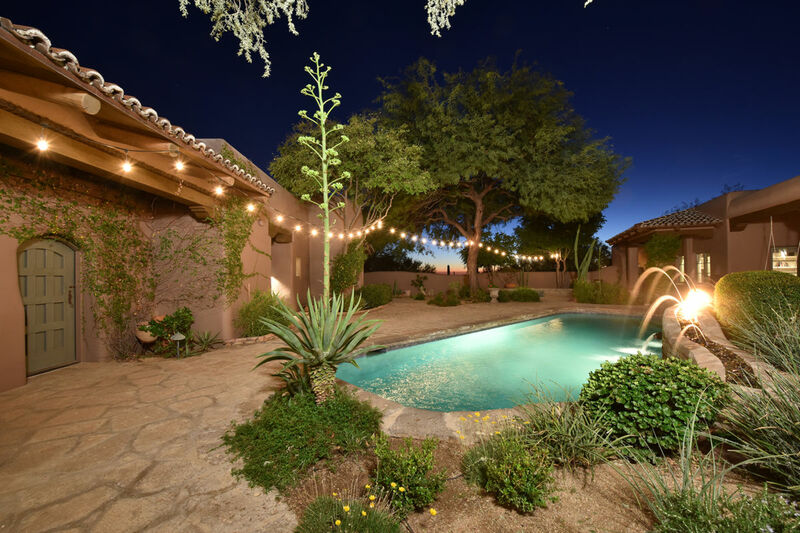 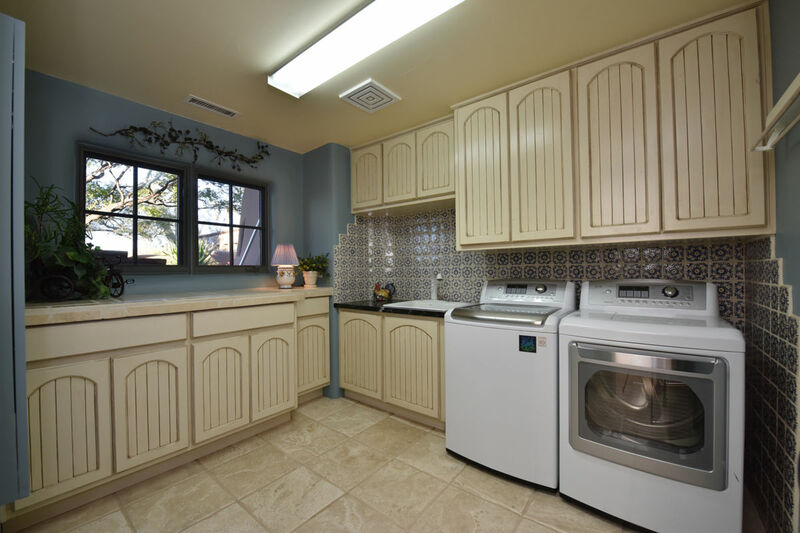 Located in the guard gated Desert Highlands, the ownership of this home includes access to the 18 hole Jack Nicklaus Championship golf course, remodeled clubhouse, and fitness center with transfer fee due from buyer.